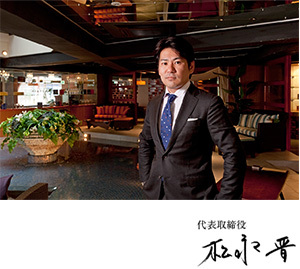 CEO Message|Pacific Diner Service Co., Ltd. When a couple joins for dinner, it might be a better idea for a sommelier to refrain from offering a long explanation about wines at a table because they may not want to be interrupted, or the gentleman may want to speak to the lady directly. By picking up on every subtle nuance, we are committed to deliver services that are the most appropriate for each and every customer. These are the services our company aims for. We aim to be a professional team who can instantly pick out what's needed the most from many “drawers” we possess. Join us to learn formal knowledge and rules, but instead of being bound by them, let's work together to achieve the truly desired customer-centered services.